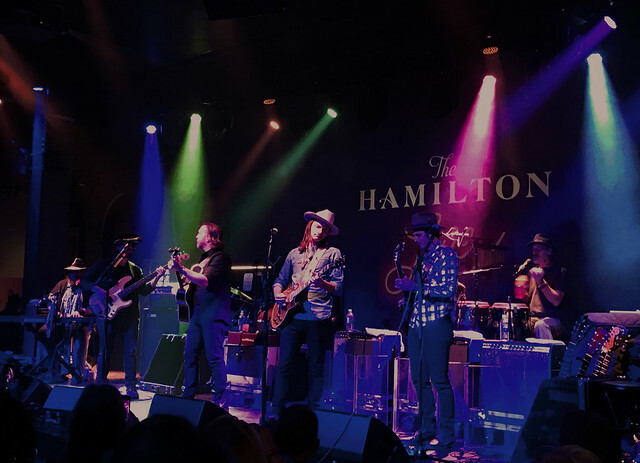 Posted on 07/16/2018 by Mark Caicedo	in Live Review and tagged Allman Brothers, blues, Devon Allman, Duane Betts, The Devon Allman Project, The Hamilton, The Hamilton Live. Being the offspring of a famous, beloved musician can be a career boost… or hindrance (just ask Julian Lennon, Jakob Dylan, or Dhani Harrison). People will sit up and take notice of your famous surname — but beware, it can also lead to highly unrealistic expectations. 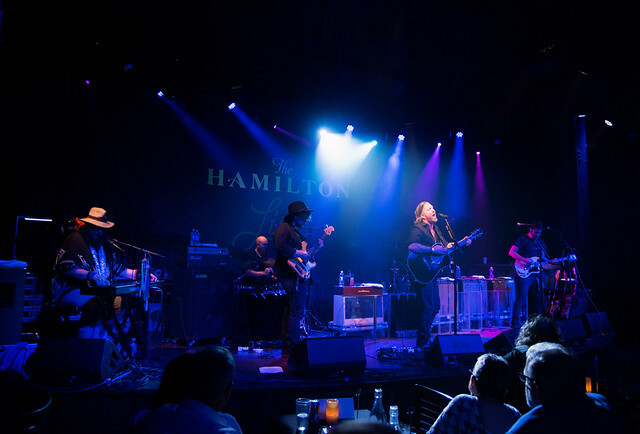 The name “Allman” conjures up memories of one of the most accomplished Southern blues rock ensembles that ever existed, forging a musical genre that changed popular music forever. Led by brothers Duane and Gregg, along with Dickey Betts, Butch Trucks, Berry Oakley, and Jai Johanny “Jaimoe” Johanson, the Allman Brothers Band left an indelible mark on American music. 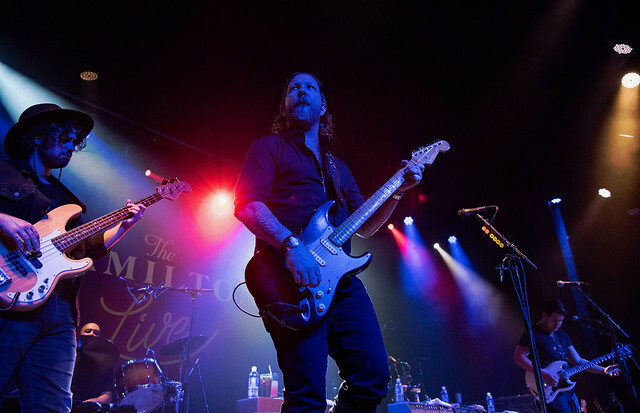 Fast forward to today: ever since Devon Allman formed Honeytribe in 1999, he has been doggedly pursuing the musician’s life, just as his famous father, Gregg, and uncle, Duane, had done previously. 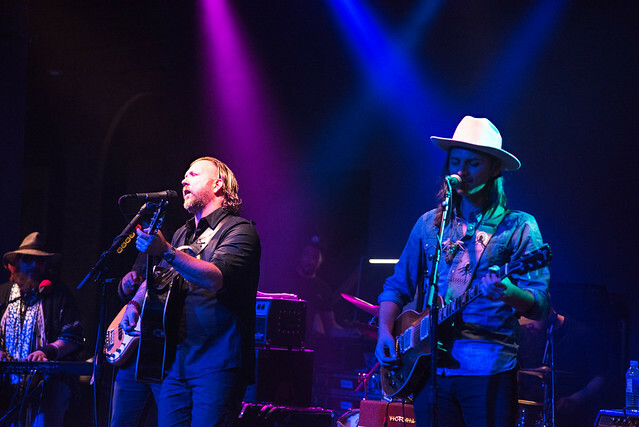 In addition to Honeytribe, his music journey included the band Royal Southern Brotherhood, a stint as a solo artist, and currently the Devon Allman Project (with Duane Betts providing special guest appearances). 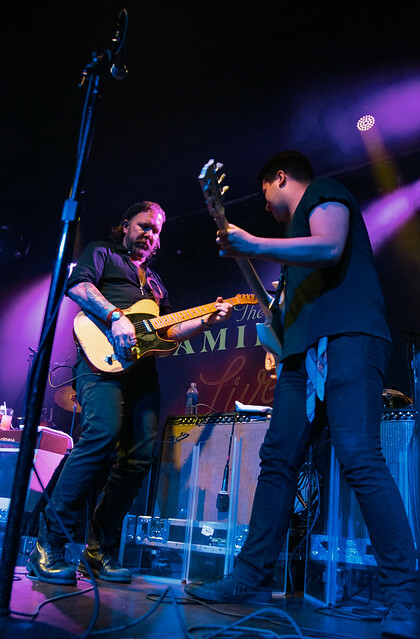 The “Project” — percussionists John Lum and R. Scott Bryan, bassist Justin Corgan, guitarist Jackson Stokes, and Hammond B3 player Nicholas David — blew into The Hamilton Live on Friday and proceeded to melt the venue’s walls with scorching hot Southern rock, R&B, and jazz-inflected blues. 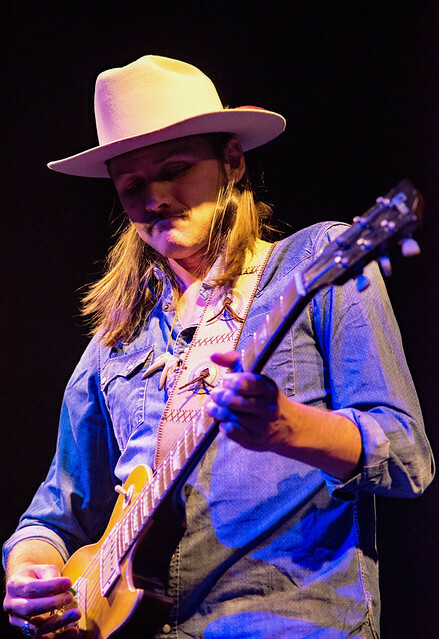 Duane Betts, along with guitar player Johnny Stachela, and Devon’s rhythm section opened the show with a 45-minute set of guitar-driven rock clearly influenced by his father, founding Allman Brothers guitarist Dickey Betts. After a short break, the Devon Allman Project took the stage, opening with “Mahalo,” an extended Santana-like jam from the Honeytribe days. After another original, “Alive,” the band launched into the Spinners’ “I’ll Be There,” complete with synchronized stage shuffles. The first set ended with the gorgeous Allman Brothers cover, “Blue Sky,” and Duane returning to the stage to handle lead guitar and vocals. Performed as a note-for-note, faithful rendering of the original, the song never strayed into tribute band schlock. Instead, the two sons treated it as a loving nod to their own musical roots, complete with impeccable double lead guitar work from Duane and Johnny. 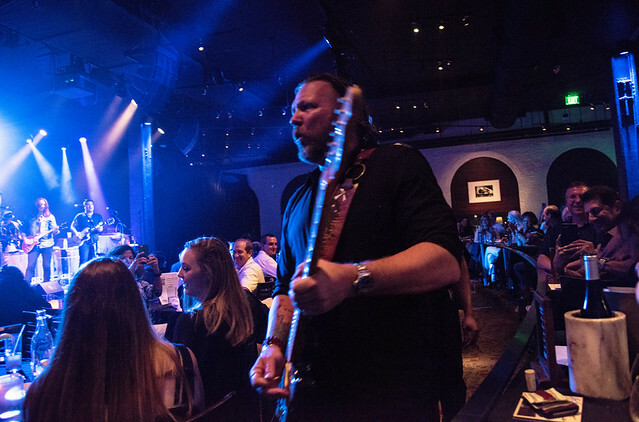 The big surprise came at the end when the original encore, “Slip Away,” was switched to the seminal Allman Brothers’ jazzy blues piece, “Dreams,” with all three guitarists taking lead turns. 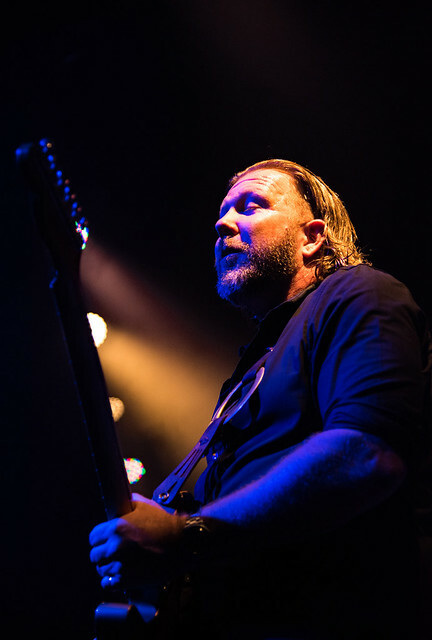 For this long-time fan of the Allman legacy, it was a sublime ending to an evening that already exceeded expectations. When his father passed away in May 2017, Devon took time off from music and the road to grieve, reassess, and recharge. 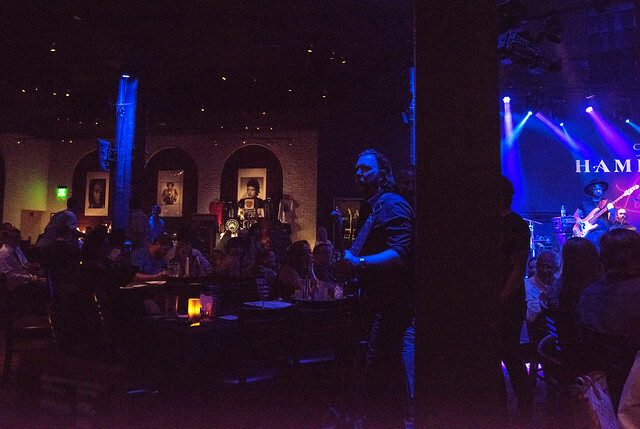 Six months later, he was back on the road, playing music with a renewed sense of purpose. Although you can have the name, you still need the chops and the will to put in the work to realize your dreams. As Gregg sang 50 years ago (and Devon on Friday night), “Pull myself together, put on a new face, climb down off the hilltop, baby, get back in the race” — and the son is clearly back in the race to stay. 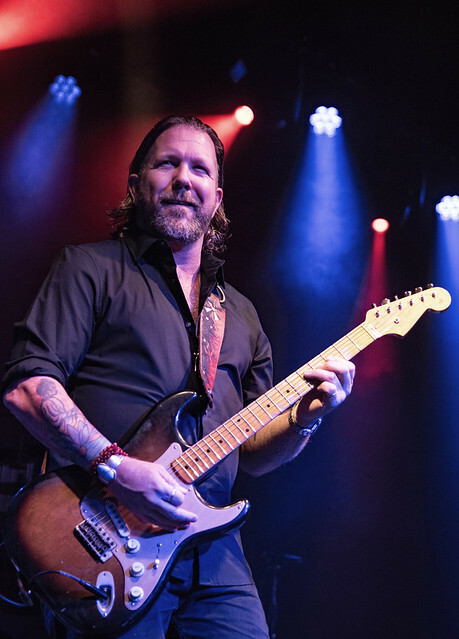 The Devon Allman Project will be on tour through the remainder of 2018 returning to Annapolis’ Rams Head On Stage on Sept. 30. (Buy your tickets online.) 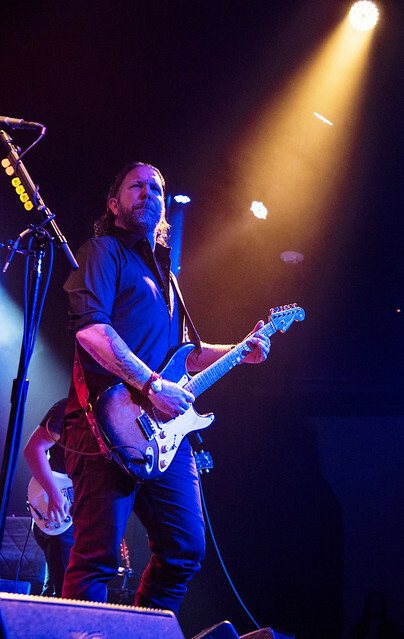 Be sure to check out Devon Allman music, video, and tour information on Facebook or at http://www.devonallmanproject.com. 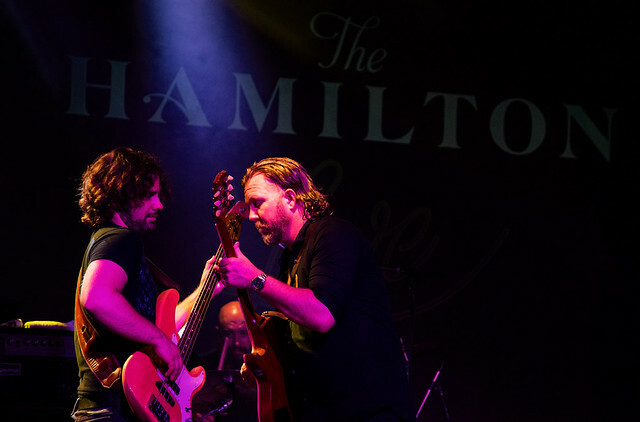 Here are some pictures of the Devon Allman Project performing at The Hamilton on July 13, 2018. All photos copyright and courtesy of Mark Caicedo.